The ROE Act, which was introduced in January, has 20 cosponsors in the Senate and 100 cosponsors in the House, all Democrats. Fetal abnormalities “can be anything from something that is going to be a life-limiting condition to the fetus, or based on how loosely these definitions are, it can be something like Down syndrome,” Israel told the Examiner. A fetus that reaches the gestational age of 23-24 weeks in developed countries has a 50 percent chance of survival, according to a 2016 paper funded by the National Institutes of Health. The chances of survival increase dramatically if they survive into later weeks, reaching 84 percent at 25 weeks and 90 percent at 26 weeks, according to a study in 2017 published in Pediatrics. Lethal fetal abnormalities can include a variety of birth defects that can make life painful or short for the infant, though determining how long an infant will live with an anomaly can be imprecise. 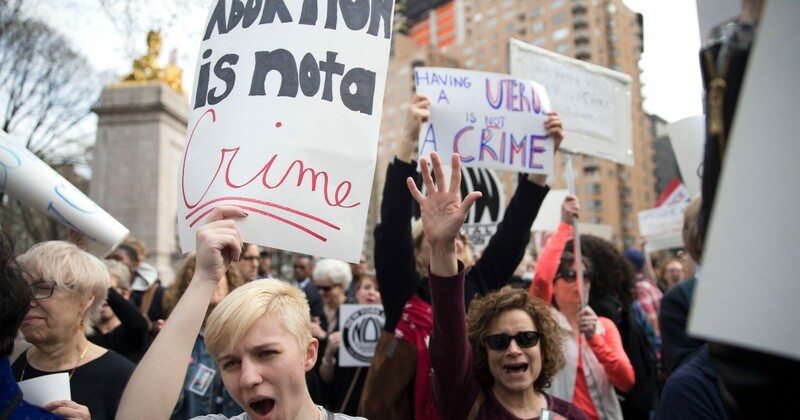 The legislation comes as abortion rights groups fear a conservative-majority U.S. Supreme Court will decide to roll back the 1973 Roe v. Wade decision that legalized abortion in every state. New York Gov. Andrew Cuomo signed a similar sort of bill into law in January. NARAL Pro-Choice Massachusetts, Planned Parenthood Advocacy Fund of Massachusetts, the ACLU of Massachusetts, and Massachusetts Family Planning Association sponsored a rally in support of the Roe Act on Jan. 17 at the Massachusetts State House, and the groups have been pushing the bill on social media. National polling from Gallup in 2018 shows that U.S. adults are split on whether abortions should be legal in the third trimester when the baby would be born with a life-threatening illness. Israel, from the Heritage Foundation, warned that the language about protecting a woman’s physical or mental health is too broad. The language “can be so loosely interpreted that it can be anything from, a woman is feeling overwhelmed about what the postpartum process is going to be like … That could be reason enough to have a late-term abortion based on these new, much more loose definitions,” Israel said.